Through this amazing catechesis program, Christian children of any denomination grow in the friendship and peace of God. You can use Catechesis of the Good Shepherd at home, too! What is the single most important gift you can give a child? Is it an education? or siblings? or travels? or financial stability? I believe that these are all beautiful gifts, but that there is one gift that surpasses all of these. This gift is a relationship with God. This relationship will give true purpose to an education, grace to love others, spiritual adventure and a greater security than any worldly wealth can offer. But can you give this to a child? Technically, no, you can’t force a relationship between two others. But you can set the stage for this relationship. It’s called Catechesis of the Good Shepherd. And it is so beautiful. Catechesis of the Good Shepherd, or CGS, is a catechetical program developed by Sofia Cavalletti and Gianna Gobbi, and inspired by the philosophy of Maria Montessori. It takes the key Montessori principle, that the child carries the seed of learning within himself, and applies this to spiritual education. Cavalletti and Gobbi named this seed of learning, they saw that it is the Holy Spirit himself who helps the child to learn. The Holy Spirit acts within the child; it is He who initiates a relationship. It is He who gives growth and wisdom. CGS is based around this principle. 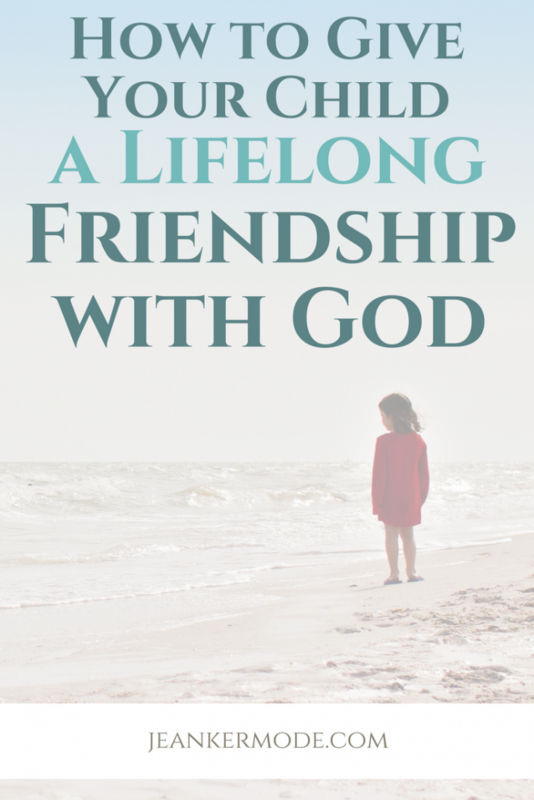 CGS is appropriate for any Christian child, as it focuses on the key, core aspects of the Christian faith, such as the Incarnation, Salvation through the Cross, and the Sacraments. It is also geared towards very young children; as these children grow older they can learn the various distinctions of their denomination, regarding the pope, etc. The curriculum itself can be tailored to specific denominations, for example, the Sign of Peace happens at different times during the mass for different denominations, and this can be reflected in the individual curriculums. 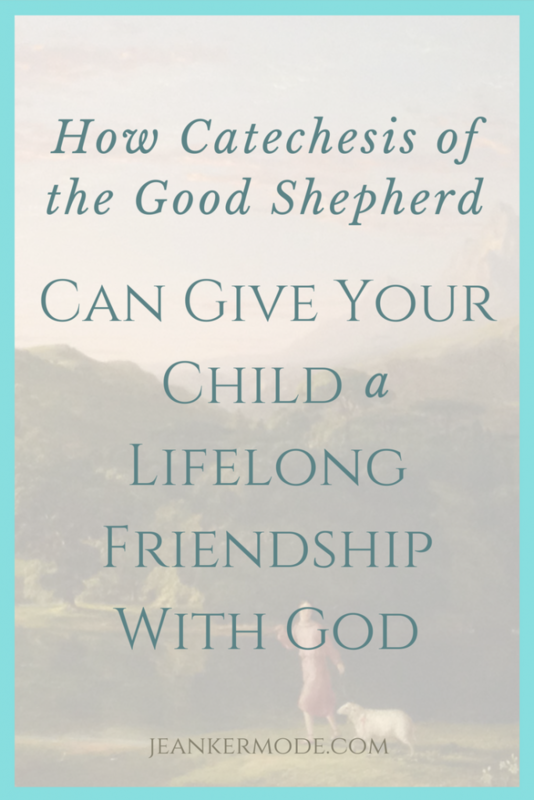 How Does Catechesis of the Good Shepherd Set the Stage for a Lifelong Relationship with God? CGS sets the stage for this relationship in several ways. Please don’t let the thought of your rambunctious, crazy-pants three-year old sitting quietly in contemplation laugh you out of here. Every single one of us was made to contemplate God, and high energy kids are no exception. And this is where the beauty of Montessori comes in. CGS uses the Montessori principles of self-discipline, whole person education, and individuality to help the child prepare his body and mind for contemplation. Through Practical Life exercises, (yes, children sweep and polish in this catechism class) children work on fine and gross motor skills, and learn concentration through uninterrupted focus on a task that interests them. This is invaluable for growing in contemplation. It recognizes that the whole person, body and soul, must praise God, and patiently helps the child grow in mastery of his body. This might look different for different children; a high-energy child may learn to concentrate through kinetic, hands-on activities, such as table washing or molding clay. And artistically inclined child might learn to concentrate through arranging flowers or drawing a picture. The catechist is trained to observe each child and lead her to activities that captivate her. This interest, together with a quiet environment and uninterrupted periods of time, allow the child to grow, however slowly, in concentration and contemplation, allowing the Holy Spirit to do His beautiful work. CGS places a very big emphasis on the reality of Jesus, who walked on the same planet and breathed the same air as we do. As time is a difficult concept for young children, (especially 3-6 year olds) the focus is on place. One of the earliest lessons shows the child a globe. “Here is where we live, and hear is where Jesus lived.” The catechist gives the child time to dwell on this, and invites him to take the globe down from its shelf to look at it and think about it whenever he likes. The catechist says few words, just enough to present the child with a beautiful reality: Jesus and you share the same Earth as home. Many other lessons show Jesus as a real person. The catechist tells stories from His life, not in her own words, but in the words of the Holy Spirit, the Gospels. Each story is presented separately, necessary vocabulary explained, with an accompanying set of three-dimensional figures to make the most of the child’s concrete thinking. For example, the story of the Nativity is told with figurines of baby Jesus, Mary and Joseph, moved along with the story. The catechist always reads the story more than once, and eventually invites the child to move the figurines along with the story. This helps cement the stories in the child’s soul, bringing them to life again, and helping the child understand, with few words, that these are real events. The lesson of the Good Shepherd is one of the most important lessons in CGS, and the most important thing is that the catechist does not tell the child who symbolizes who. The Holy Spirit, working within the child, lets the child discover this in her own time. 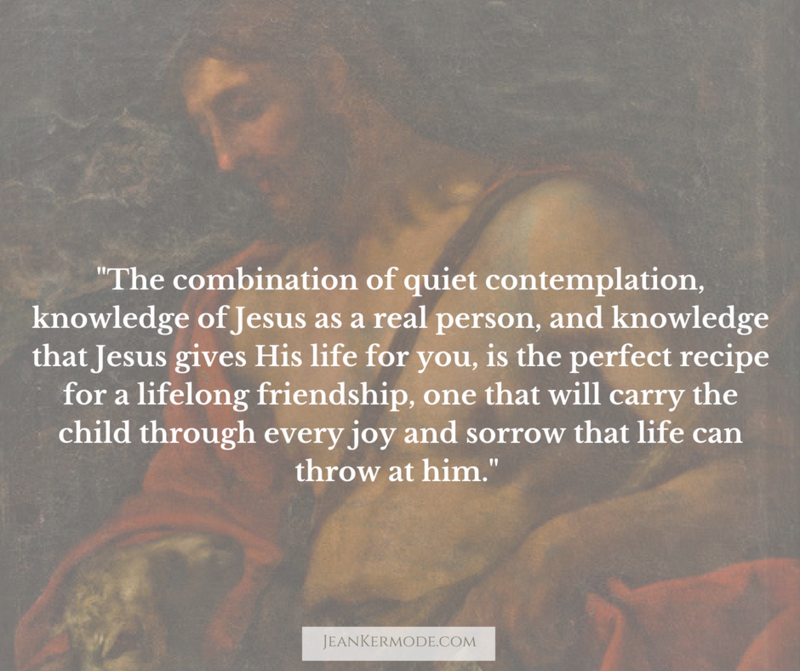 The combination of quiet contemplation, knowledge of Jesus as a real person, and knowledge that Jesus gives His life for you, is the perfect recipe for a lifelong friendship, one that will carry the child through every joy and sorrow that life can throw at him. Of course, all three of these elements can be fostered at home. Give your child time to be quiet and concentrate. Introduce him to Jesus as a real person, as a friend of yours. Read her stories from the Bible, leaving time for reflection and questions. Together as a family, praise God with your bodies and souls. Look for the sacred all around you. Trust in the Holy Spirit to give growth and wisdom in His time. I’ll close with an amazing story. A catechist noticed that a young girl repeatedly worked with the Annunciation figures. The catechist also introduced her to other stories, but the girl kept coming back to the story of the Annunciation. One day, the catechist gave the girl the lesson about the gesture of Epiclesis, showing her the motion of the priest, and helping her to think about what this gesture could mean. Could it be that the priest is asking God to send a gift upon the bread and wine? The moment of Epiclesis is when the priest calls the Holy Spirit to come upon the bread and wine, but the catechist does not directly tell this to the child. Instead they think together about the motion, asking what gifts God can send, and noticing that some of these gifts, e.g. love, are just another name for the Holy Spirit. Could the priest be asking for the Holy Spirit to come upon the bread and wine? The girl listened to this lesson, but when it was over showed no interest in continuing to work with the materials. Instead, she went back to the Annunciation work. And then she did a beautiful thing. She took her hands and made the gesture of the epiclesis over the figure of the Virgin Mary. She understood, though the catechist had not told her, that the same Spirit that comes upon the bread and wine at mass, to turn them into the body and blood of Jesus, is the same Spirit by whose power the body and blood of Jesus came to be conceived in the Virgin Mary. Your turn. Tell us your stories in the comments. How do you foster faith in the children under your care? How have you seen the Holy Spirit work in them? I look forward to reading your stories and thoughts, and I will respond to each one.